At the blooming of the first spring flowers, DWARE OOD signed with the Financial Supervision Commission an agreement to implement an application for submission and publication of information by companies referred to in Paragraph 1e of the Additional Provisions of the Law on Securities Trading. This large-scale project at national level, which covers in real time more than 3,000 companies throughout the country, is achieved using dWare’s OS. Security is guaranteed based on the use of electronic signatures and dedicated certificates. Employees of the FSC will be trained on using the module at dWare’s training center in Sofia and, if necessary, at the company’s training centers in Plovdiv, Burgas and Varna. Every new idea blooms with dWare’s OS! From 01.01.2017, the National Legal Aid Bureau will work with the new filing system signed by dWare. The system is installed, training is scheduled for Monday. 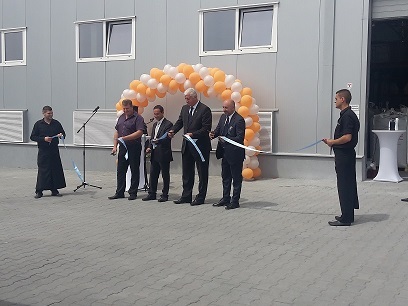 Immediately before the beginning of the school year, Chemical Technology and Metallurgy in Sofia boasts a new system - dOS "Student dormitories." The system works from September 7. It covers activities related to registration and accommodation of students accrual and payment of fees and supplies for the period of use of the campus and their release. The system automatically displayed references for control of these activities as provides quick and easy access to useful information on the obligations of students, state and workload of the rooms. So the management of student dormitories significantly alleviates and increasing efficiency. September started with new dOS application. 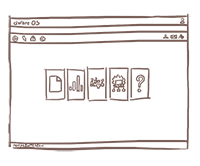 From 09/01/2016, the Executive Agency for Forests works with dOS – “Real Estate Registry”. The system covers activities related to real estate, non-forest areas and are provided for managing the Agency's regional forestry directorates and specialized territorial units. These are processes of registration, revaluation and write-off of property, as well as reporting and monitoring of their repairs. Each property is reflected with his individual characteristics. The application is an effective management tool as submit information to Konto 66. Konto 66 is dWare’saccounting system with which the Agency works. This is proof that we take for mission the creation of systems for our customers. The systems measure of any measures! At the end of the summer vacations, the most extensive application, realized with dWare OS, goes into real operation! This is the information system, made in accordance with decision of Council of Ministers „RMS 593” for payments over 30 000 Levs. Users of the system are several thousands of organizations led by the Ministry of Finance, National Revenue Agency and the Customs Agency, with almost twice as many employees who will coordinate, implement and monitor payments themselves. The project "RMS 593" proves that if there is political will and cooperation with the state administration, the Bulgarian IT companies have the resources to create management tools at the highest level. 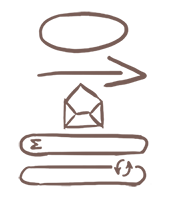 The motto of dWare "The management of State in a real-time" is now filled with more content! The information system in connection with “RMS 593” works into real operation. This realization of dWare Operating System is the most complicated, both in scope and in complexity so far. 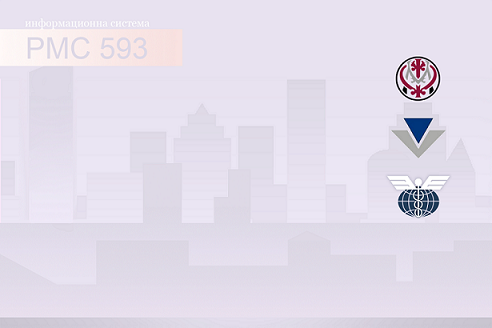 The main "culprits" for the appearance of "RMS 593" are Diana Dimitrova, Simeon Zafirov and Damian Ivanov. Among them Alexander Georgiev, Veselin Smokov, Vladimir Marinov, Maria Dimitrova, Vanya Ivanova, Zhaneta Atanasova, Stoycho Marinov, Maria Velichkova. Do not forget the wonderful collaboration with colleagues from Ministry of Finance, National Revenue Agency, National Customs Agency and TechnoLogica! Poly Bolkans produces a wide range of high quality PVC granules in accordance with international quality standards. All accountancy - production, sales, accounting, warehouse are developed by dWare. The production and sales processes are described with dWare OS and accounting is covered by Konto 66. This is one of the most complex and overall application realised with dWare OS. By putting into operation dWare's team once again proves the professionalism with which works on each project. 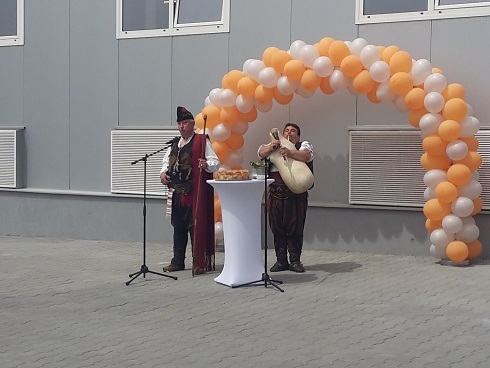 The project "Poly Bolkans" was completed thanks to colleagues from Team 1 Magdalena Dilchev and Radoslava Yosifova and colleagues from office Plovdiv - Siyana Nikolova and Stefan Bodurov. 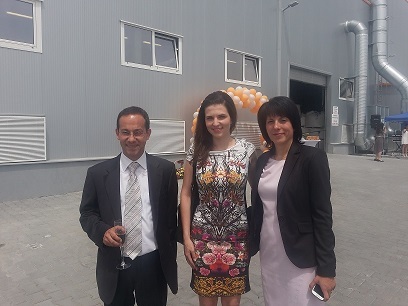 On the left/right of the picture are Yuri Kukov - Executive Director, Siyana Nikolova - Head office dWare Plovdiv and Vela Karagyozova - Chief Accountant. On the left/right on the next one: Jordan Totev - mayor of Orizari, Yuri Kukov - Executive Director, Zdravko Dimitrov - regional governor of Plovdiv and Ruggiero Tavani - Director. In Thursday, 09.06.2016 was held a working meeting at the Ministry of Finance with representatives of the National Revenue Agency and the Customs Agency. At the meeting it was adopted the application developed by dWare, connected with the RMC 788 having passed one month tests. The application is designed with resources of dWare OS. 11.05.2016 is a very special day! On that day was put into regular operation the system of the Ministry of Health by Team 2. Project leader was Vanya Varadinova. On the same day started the test run of the national system for payments between authorizing officers and the business, i.e. Government Decision 788. Major merit for this goes to Diana Dimitrova and Simeon Zafirov. There were joined by Mariya Velichkova, Mariya Dimitrova and Velislava Yordanova from the Sofia office, Vanya Ivanova and Monika Petrova from Varna, Zhaneta Atanasova from Burgas, and Siyana Nikolova from Plovdiv with consideration to the training of two groups of employees of the Customs Agency and two other groups from the National Revenue Agency. The first system is based on Business Processor and the second one on dWare OS. 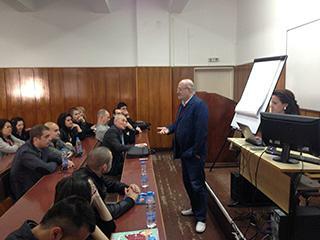 On 14 and 15 March at the Academy of Economy in Svishtov took place the third master class. The event was organized starting with a theoretic presentation of the problems and ended on the next day upon creation of business propositions in dWare OS environment. The training opened with the theoretic presentation given by Damyan Ivanov and was conducted by Vanya Ivanova, Diana Dimitrova and Siyana Nikolova. Again, participants were students and lecturers from the Business Computer Science. It seems that this event is now part of a good tradition. On December 17, Diana Dimitrova, Simeon Zafirov and Damian Ivanovdemonstrated the system that was created in accordance with the instructions of CMD 788. The demonstration took place in front ofrepresentatives of the Ministry of Finance. The system includes payments of budget spending on contracts exceeding the sum of 100 000 leva. In practice, it covers a substantial part of the cost of the state in real time! Next week the system will be presented to the National Revenue Agency and the Customs Agency, before trial operation. So a few days before Christmas, miracles started happening ... With dWare OS. 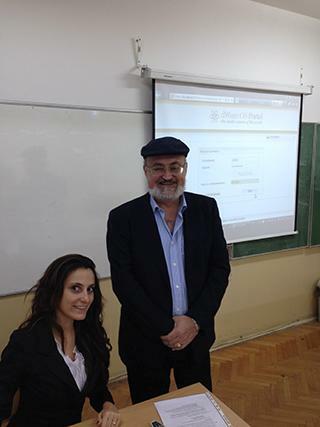 The University of National and World Economy start to manage its accounting with Konto 5. After that, with the development of technologies and systems, th e u niversity start ed working with w eb-based Business Processor - Konto 66. In the years in Konto 66 were integrated and other departments -"Restaurant", “ Publishing complex”, “Student canteens and Dormitories unit” and “I nstitute for Postgraduate Studies Division ” . In addition withaccounting system , other systems and subsystems were also integreted – Salaries, Fixed assets, Cash, Bank became successful. Currently, the all accounting of the university is in a real time. With a platform dWare OS could be integrate consistent all specific activities. The end users of result working with d Ware OS are specialists and management of the university. It depends on rights of an access. All these events are accompanied by a series of lectures to the students of the university, from the dWare's team. 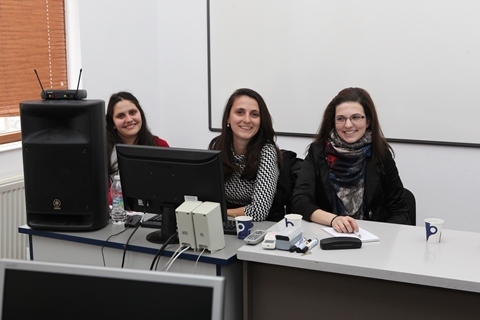 The students from different disciplines are learning dWare OS and the newest software - Konto 6,thelast version of the first accounting system in Bulgaria , back in 1991 -Konto. The accounting systems are developed with the current trends in information technology. On 13.05.2015, two groups of employees of Cantek were trained to work with dOS application "Control and enforcement of contracts." The established system covers the activity of preparing and monitoring the implementation of contracts of the company. First the system will work in the offices in Sofia and then in these in the country. 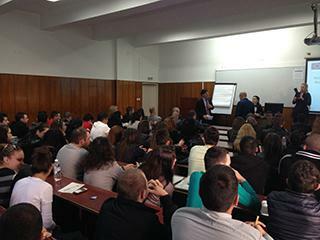 Almost a year after the first, in the period March 10-12, held a master class in the Academy of Economics in Svishtov. 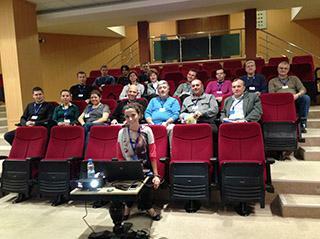 The event was organized as practical training to create different businessapplications in dWare OS. 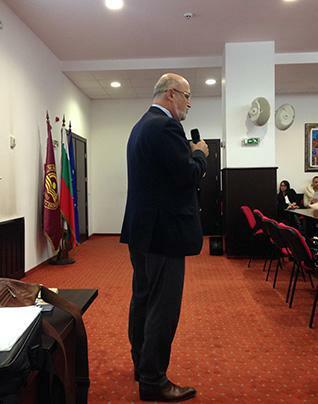 The training was held from Damian Ivanov with the help of Diana Dimitrova and Siyana Nikolova. 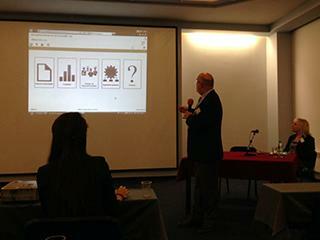 The participants were students, PhD students and lectures form " Business Informatics". Today, 28.01.2015, training was held for officials from all district offices of Bulgarian Post PLC concerning the work with the system of dWare "dOS - Local taxes and fees". The system was introduced into operation in 2013 in BP PLC - Plovdiv and covered several dozen Municipalities around Plovdiv. 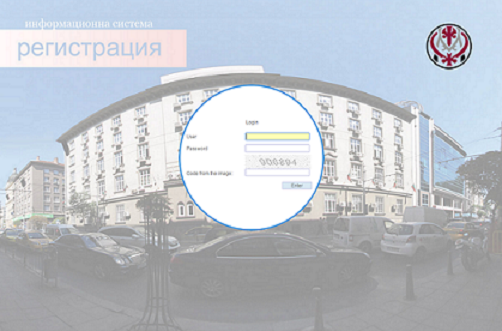 The system allows all citizens to pay at the counters of Bulgarian Post the taxes and fees on their property regardless of the municipality in which the property is located. It is planned for the application to cover more than 200 municipalities in a few months, and more than 1,000 postal employees to be trained in the next few months. 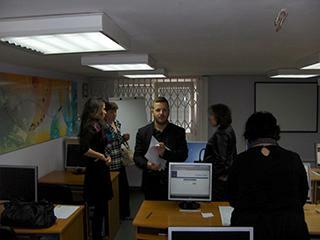 Trainers were Milena Kostova and Diana Rancheva of Bulgarian Post - Plovdiv and Diana Dimitrova from dWare. 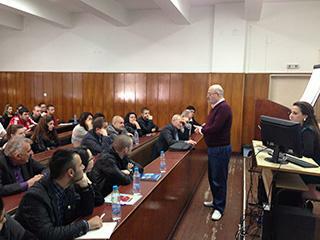 On Antonovday, Damian Ivanov and Diana Dimitrova held another lecture to the masters of the Faculty of Mathematics and Informatics at Sofia University regarding the developed by dWare event model dWareOS - philosophy and technical equipment on how to design and build information systems. And not only! The lecture lasted from 9.00h to 14.00h due to the great interest, which was caused in the audience and the questions of the students. There will be more lectures and practical sessions in Sofia University based on the actual constructing of information systems. 17/11/2014 Today, started in regular operation a new dOS Application to automate the activities of the National Legal Aid Bureau. With the new Web system all the activities, involving preparation and handling of reports of over 6,000 attorneys to 27 local A ttorney Counsels, is done in real time - quickly and easily from 18 workstations. On the basis of the approved decisions NLAB automatically prepares a file with the payment order to the BNB (Bulgarian National Bank) to pay the fees of lawyers who provided legal assistance. Accruals and payments are automatically loaded for accounting in Konto66. Research, development and deployment of the new application was made by the team of dWare in less than three weeks. In two classrooms of dWare within half a day were trained all employees of NLAB - lawyers and accountants. In two consecutive days in NLAB was performed a test operation with new application. Today, 15 May 2014, employees of three departments of the University of National and World Economy attended a training how to work with a research activity application. The application was created with the functions of dWare OS and covers all stages of the research process of the university – planned subsidies, competition projects and their assessments and revisions, agreed projects, the implementation of the projects …. And all of this in real time! This is the second application accomplished with dOS to be used in the university. The first dOS application in the University of National and World Economy was for the public procurements with five months of operation so far. 14.05.2014 г. - dWare OS in St. Kliment Ohridski University of Sofia..
On 14 May 2014 Damian Ivanov and Diana Dimitrova presented the philosophy and tools of dWare OS for the development of information systems to lecturers and students of the Master’s degree programme in E-business and E-management of the Faulty of Mathematics and Informatics of the St. Kliment Ohridski University of Sofia. The lecture sparked significant interest and continued until late in the evening. This was the fist of a series of lectures to be held by dWare specialists. Today Saint Gobain Construction Products Bulgaria started the operation of dWare OS. The Preparation of Payments application was installed. This application prepares the payment orders under the entered invoices for supplies from the Business Processor. The prepared payment orders are automatically sent to a bank in Poland, where the payments to the suppliers are made. 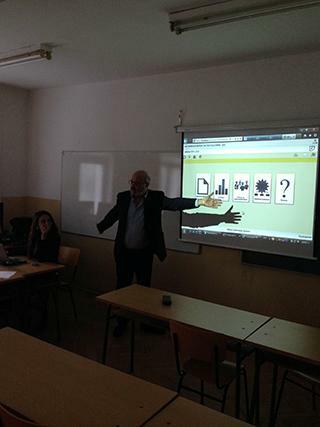 On 04 April 2014 the Academy of Economics in Svishtov hosted a master class that attended the lecture titled: ‘Event-based approach to the creation of dWare OS business web applications”. Lecturers and students attended this seminar. Assoc. Prof. Popov, Business Informatics Department Director, personally made the introductory speech and Damian Ivanov held the lecture. Today 02 April 2014 was held the seminar organised by bsoftware magazine and Saga Technology Publishing House titled: “Business Management Software”. During the seminar Damian Ivanov and Diana Dimitrova presented the response to the requirements set by the present day to the creation of information systems. The response is a new philosophy and new tooling, which were demonstrated to the invited specialists. 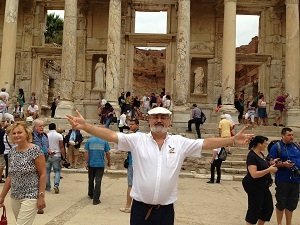 There is more good news – the forum was the venue of many interesting contacts and many meetings were scheduled. 28.03.2014 г. - Second installation of dWare OS abroad…. From 20 March to 23 March 2014 Alexandra Andreeva and Victor Mitkov of the dWare team accomplished the second dOS installation abroad in Prague. The application implements financial control. The first installation of an application created with dWare OS outside Bulgaria is a fact. The application is Alerte and the country is Macedonia. The application allows collection of information about various accidents at petrol stations. The collected information is processed by persons on duty in the headquarters of the service company and sent to the management of Lukoil and the relevant management authorities. The system monitors the troubleshooting process and any delay automatically leads to notification of the relevant control authorities. The information thus collected can be used for generation of various analyses of the character and causes for the accidents. The Alerte application covers all sites of Lukoil Macedonia, having been previously installed at all Lukoil Bulgaria sites. 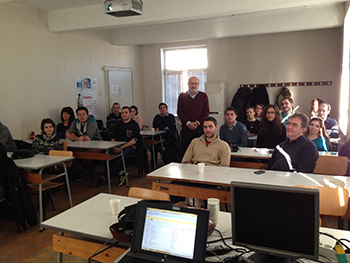 A working meeting with lecturers from the University of National and World Economy and from the Academy in Svishtov was held from 18 to 20 February 2014 in the town of Hissaria. During the meeting the dWare representatives demonstrated part of the new functionality of the third version of dWare OS. The dOS-PUBLIC PROCUREMENT system was implemented and launched in the University of National and World Economy on 10 January 2014. It covers the whole document turnover of the public procurement process. In total, 45 stages of a public procurement, from the filing of the application to the execution of the contract, were realized. This system will be used by representatives of all departments in the University of National and World Economy and by the rector. The system monitors the deadlines of each stage, sends automatic reminders and notification letters to the relevant people in charge, provides opportunities for classification of the offerers, determination of people in charge for the next stages…and many other things! All original documents are attached in the system and the whole information regarding the public procurements is accessible for statements and analysis! 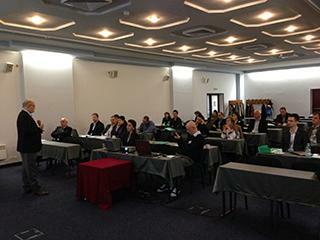 Damian Ivanov opened the Third International Conference on applications for ICT and statistics in economics and education with presentation of applications working in real-time with dWare OS. The presented applications illustrated the universal nature of dWare OS with its various fields of application. The event model, being the foundations of dWare OS, allows unlimited reflection of the economic reality, as well as of other realities. 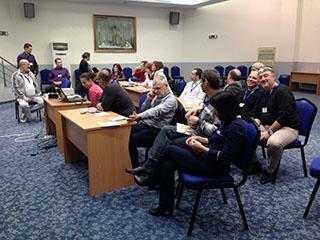 A seminar with the Bulgarian National Radio was held from 29 November to 02 December 2013. The focus of the seminar was on the new Business Processor functionality and the new requirements and challenges to the accounting process in the radio. Besides, a solution of the requirements of article 71 based on dWare OS was also presented. The implementation of the presented subsystems will start as early as this week. 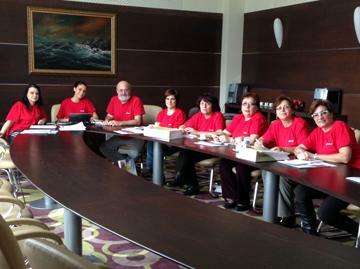 The trial operation of the first system implemented with dWare OS took place today. The system allows payment (utility bills, electricity, district heating, etc.) at the cash desks of Bulgarian Posts EAD. Currently the system covers the post offices in Plovdiv district. On 10 October 2012 dWare officially presented its new product dWare OS (Business operating system) to journalists from the leading IT media. 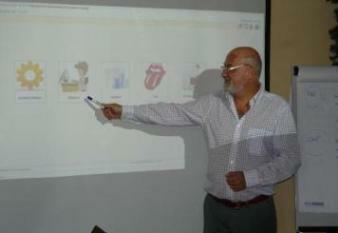 The presentation took place in two parts. The first part contained a description of the dWare OS philosophy, while in the second the guests were made familiar with the creation of a real application and its launching. The new dWare environment is a convenient tooling that allows fast and easy modelling, compilation and creation of business applications. The client applications are web-based. The database management system is Oracle with options for MS SQL and DB IL. The official presentation is scheduled for 10 October 2012. You look at the world and describe it with a set of tools. In reality we talk about modeling. Modeling business processes based on the idea that everything that happens in business can be described like an event. You already speak about tools. What kind of tools? You have a piece of software in which you have to put down your observations of the reality that you want to incorporate in an information system. Depends on your expertise in what you are starting to do. Yours and that of your client. Can I see something of my work? But where is the web-based system ? Reports are our favourite thing to do. I understand that we have a software with a philosophy and tools to transform the business reality into a virtual reality called Infor mation system without programming, testing. Can I modify my first idea or expand it? The data follows the changes. dWare OS is created by dWare Ltd. Various statistical data shows that about 60% of the developed information systems end without achieving their set goals. Our analysis shows that the problems lies neither in the stages of development of the information systems, nor in the methodology. The problems lies in the vision /absence of a suitable abstraction/ and adequate tooling to materialize the examined processes into an information system. The approach and tooling developed by us allow modelling of the business reality by means of ‘dEvents’. As a result, we obtain simple and understandable notations, convenient to maintain and develop, and the relevant operating web-based information systems, based on a relational Database Management System. Our attention is focused on the construction /examination, design, elaboration, implementation, maintenance and development/ of information systems /IS/. We will analyse the data about the software projects, showing that approximately 60% of them are not successful. By tracing the life cycle of a project, we will try to outline the major issues underlying the failures. We will propose a new philosophy and tooling pretending to eliminate the established reasons underlying the failure. Finally, we will present the benefits of the application of the new philosophy. Are there any problems that require analysing the construction of an information system? It turns out that the processes concerning the construction of an information system constitute a complex, long-term and expensive undertaking, yet without a guaranteed result. ROGER SESSIONS  assesses that the costs of unsuccessful projects on a WORLDWIDE SCALE for 2009 are USD 6.2 trillion. Dr John McManus and Dr Trevor Wood-Harper  estimate that the costs of the unsuccessful projects in EU for 2004 are EUR 142 billion and only one of every eight projects has been accepted as fully successful according to a study performed in the period 1998-2005 and covering 214 projects in 10 areas /defence, healthcare, education, agriculture, trade, production, finance, construction, transport and logistics/. Similar findings are valid for France, Switzerland, USA and the whole world. The figures and percentages will for sure be different in the various studies and for the different countries, but this is no important. What matters is the ratio between successful and unsuccessful projects and the constancy of this ratio over the years. Those figures demonstrate that the stake is great and it makes sense to seek for the reasons for the failure and most of all to find a solution. Can we outline the problem more clearly? The above-mentioned study by Dr John McManus and Dr Trevor Wood-Harper analyses the stage at which the studied 214 projects are suspended or delayed. Out of the studied 214 projects, 28 were cancelled and 32 were delayed at the design stage! We can already note the fact that 15 projects were suspended and 57 were delayed or made more expensive at the programming stage. What is important for the design stage? New and new design methodologies have been developed since the 1950s. There are tens of methodologies. ‘Agile’ methodologies have also been appearing and 55 of them have been described. What does this say, without even analysing any of them? It says only one thing. There is a problem. None of them complies with the requirements regarding the construction of various information systems. Why do agile methodologies appear? - People and communication are superior to processes and instruments. - Operating software is superior to detailed documentation. - The cooperation with the customer is superior to negotiations during contract execution. - Addressing changes is superior to following the plan. - However each one of them gives priority to one or another aspect of the study, design, implementation in order to solve various problems. Thus, the main problem is the time necessary to accomplish the project, since the increased costs and failure to achieve the goals are a function of time. Taking into account that the scope of activities related to study, elaboration and implementation of a project, irrespective of the selected methodology, is the same, if the projects had been accomplished within the expected deadlines, most of the methodologies would have been obsolete. Let’s have a look at the above study, where we can see the number of projects cancelled or delayed at the programming stage – 15 and 57 respectively. In other words, all those methodologies have problems as early as this stage – the programming. - Absence of vision, adequate abstraction of the essence of an information system as a reality model, which always requires additional development of new and new programmes. Let’s have a look from another viewpoint. In order to reflect a reality, we need the appropriate tools. An artist uses paints and paintbrushes, a photograph – a camera, a writer – a pen, etc. Is the reflection complete and accurate? Of course, the reflection is incomplete, however it achieves the set goals to some extent and does the expected work. Let’s have a closer look at the business reality. We have seen that the programming stage is reached as a result of the study and design. The consumer software is most often presented as an aggregation of algorithms and programmes implementing them in order to achieve the goals of the information system. The result of the design of an information system consists mainly of describing the business processes according to certain methodology or without a methodology /information flows, information carriers, algorithms for the processing of information, organizational structure, ‘actors’…/ and necessitates the creation of the relevant programmes. Sometimes the programmes turn into software implementing certain functionality, supplemented with options to determine the parameters for the purpose of more flexible compliance with the requirements of the specific business. Determination of the parameters, but within the framework of the specific functionality! The new functionality requires new programmes or new software. Usually the result is an information system that achieves the set goals to a different extent, however always with restrictions in terms of development towards inclusion of a new functionality from the whole business reality /as stated above/ and system support. The business space is a whole. Examining it from various viewpoints, subsystems, tasks … is made for greater convenience. Mainly for convenience of management. But most of all, due to the absence of philosophy, abstraction, covering and reflecting adequately the set goals, in a simple and understandable language, and the whole business reality. In other words, what we have seen in the previous paragraphs is the alternative to the impossibility to reflect the business reality in any other way. IS THERE AN ALTERNATIVE TO THE EXISTING PRACTICE? Yes, there is, and it comprises the creation of new philosophy, new abstraction of an information system, and may be a more general way to model the business reality, while trying to awaken a new and unknown sensibility to perception as a whole. And apart from philosophy, we would also need tooling to do this. - tooling, aimed to fix such description and enliven the described models. The main idea is the finding that everything in the business reality can be presented as dEvents. The elements of dWare OS and dEvent, dObject, dSpace. dEvents are materialised in dObjects. All dEvents are at the ENTRANCE of all dObjects. Every dObject generates a dEvent as an EXIT. The aggregate of dObjects, dEvents and their movement form dSpace. We can differentiate between several layers within a single dEvent. Examples of dEvents include contracts, invoices, letters of acceptance and delivery, commodity receipts, inventories, petty cash credit orders, petty cash payment orders, advance reports. Examples of dObjects include accounting warehouse, marketing, but also register of invoices, register of contracts. An example of movement is the invoice, which will be located in the dRegister of invoices, in dAccounting, but also in dWarehouse, and dMarketing. It will also go to the entry point of dContracts, where it could be rejected depending on the specific business practice. A single dSpace may be the space of accounting, cash register, but all objects could also be in the same space, depending on the organization of work in the specific business practice. Business spaces are described by a set of graphic symbols, such as beginning, object, condition, entrance: on-screen, object, e-mail, file, service, exit to: file, e-mail, print… according to the methodology for construction of an information system, developed by us. Managers are the programmes that ‘enliven’ the dSpaces. What is the result of the implementation of an information system by this philosophy and tooling? The results are most of all in the overcoming of the main problems of the existing methodologies for the construction of information systems. It is worth noting that our abstraction does not reject or oppose none of the methodologies, approaches or practices for the construction of an information system, but only allows the opportunity to achieve the goals set for the information system. - ‘expanding/shrinking’ the space itself with new objects/functionality. Не вярвам, че някой взима категорично решение каква система за управление на бизнеса си взима на един или друг форум, Мисията е по-скоро разузнавателна с цел да види, ако има очи за това, кой какво предлага било то от презентациите, било и от споделения опит. Това обаче не е лесна задача, защото информацията, която се поднася малко или повече е украсена, да не кажем и деформирана, защото се прави от разработчика или внедрителя на дадена система, на даден продукт. Преценката на потребителите, вече внедрили една или друга система, също не винаги е напълно обективна, защото малко или повече оправдава вече взетото решение. Ето защо умението е не само да се слуша, а да се чува същественото, не само да се гледа, а да се вижда в дълбочина и в същината на това което всяка фирма разработчик представя пред публиката от потенциални клиенти. Въпросът е - Има ли нещо зад мъглата? Естествено, че има. Но то е малко по-различно от това, за което съзнателно или не се говори доста мъгляво. Истината е, че нещата са пределно ясни на вендорите и не до там ясни на клиентите. Вендорите прекрасно знаят какво може тяхното решение (модел, идея, философия), както и пътищата, по които могат да го развиват /естествено срещу съответната цена) и са го предвидили в своята методология за инсталиране. Решението на вендорите прилича на джудото – да те преборя като използвам не моята сила, а твоята. От теб искам да ми кажеш как искаш това, как да става онова. Да, де ама ето, че попадаме в парагаф 22 –хем не познаваш продукта, хем да казваш как го искаш. Освен това бавно, но сигурно те влудява целият този набор от неразбираеми справки и отчети. И тук изведнъж се появяват спасяващите магическите кубове и т.н. Не че са безсмислени. Просто показват неспособността на съответната система да доведе нещата до край със собствените си средства. А нещата стоят съвсем конкретно. От едната страна стои отчетността, а от друга страна се намира оперативното управление. Отчетността пък е още по-ясна. Тя обикновено се припокрива със счетоводството и за целите на това представяне може да приемем, че е така. Да, ама в счетоводството има един точно определен набор от отчети, които трябва да се представят на определени дати. Всеки един от тези отчети се прави по точно определен начин и има съответната форма и съдържание. Следователно половината от нещата са пределно ясно дефинирани, до толкова ясни че може да се изкаже и едно еретично твърдение – а именно, че няма нужда от счетоводство. Не че няма наистина нужда, но няма нужда от обичайните счетоводства, а има нужда от такова счетоводство, което да умее да анализира и да дефинира счетоводната отчетност в полза на фирмата, стъпвайки на конкретната икономическа действителност, даденост – закони, практики. Оперативното управление е по-интересното. То е в някаква степен по-различно при различните клиенти. И какво става? Имаме добрите практики. Но те какво са ? Едни реализирани модели на това как да си получиш отчетната информация. Но наистина ли са модела на успеха ? Едва ли има някой, който да даде гаранция. /Връщам се към началото при сравнението с за пътниците в самолета. Решението е в инструмент, който да отразява и съчетава разнообразието на бизнеса и креативността на хората. И за да не се преоткриват вече откритите неща, защото тук нe става дума за първите любовни трепети от откриването на любовта или унеса на танца, тръпката на ловеца, рибаря, бънджи скока, опиянението от скоростта, ... а за борба на живот и смърт, за капитализъм, то оптималният инструмент трябва да гарантира тази отчетност от една страна и да е свободен да отразява бизнеса, при това по начин, който да се променя всеки ден ако трябва. Този инструмент се казва dWare OS.